Is your table or desk looking too plain with no colours? Fret not, as we have now launched our crystal collection. You can print practically anything on the crystal. 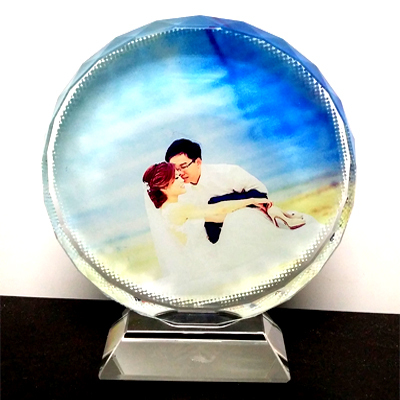 Treat it as a memorabilia or a plaque or a wedding gift, and the person receiving will be touched by your gesture. Our crystal is currently available in round shape with a diameter of 10cm.